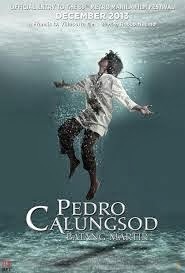 The full official trailer for Pedro Calungsod: Batang Martir has been released. And you can watch it below. Written and directed by Francis O. Villacorta, the biographical film tells the story of Pedro Calungsod, a Filipino saint. Portraying Calungsod in the film is Rocco Nacino. The film is one of the official entries in the 2013 Metro Manila Film Festival. Pedro Calungsod: Batang Martir was produced by Wings Entertainment and by the HPI Synergy Group. Besides Rocco Nacino, the cast includes Christian Vasquez, Jestoni Alarcon, Ryan Eigenmann, Robert Correa, Victor Basa, Carlo Gonzales, Andrew Schimmer and Arthur Solinap. Music for the film's by Noel Espenida and Emlyn Olfindo Santos.